Fastest Online Dictionary: Definr ~ Android Forever! When reading or creating a document you come across a word whose meaning eludes you. Perhaps the reason for your ignorance is the fact that the word is not in English. You can't be blamed for that, can you? In any case, you need a definition, and you need it now. 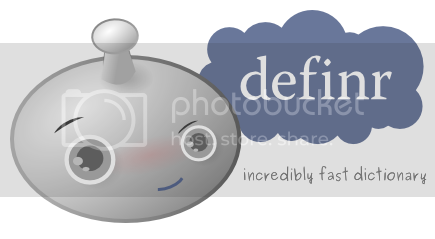 Check out Definr, billed as an "incredibly fast dictionary." It translates words and phrases before you have time to say, "What the hell does this mean?"